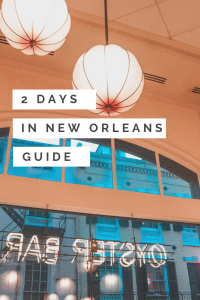 Planning to spend two days in New Orleans? 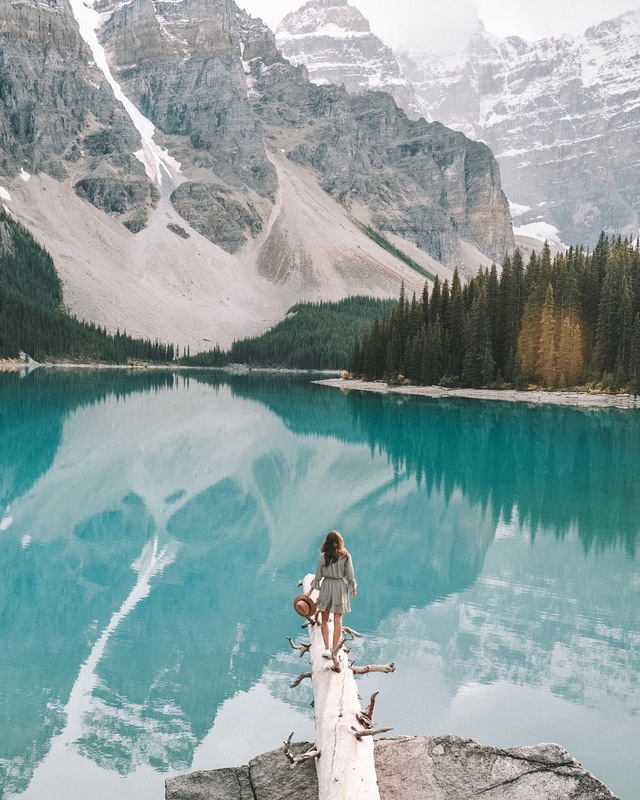 Read on to find out everything you need to know about a short, sweet trip to this wild city! 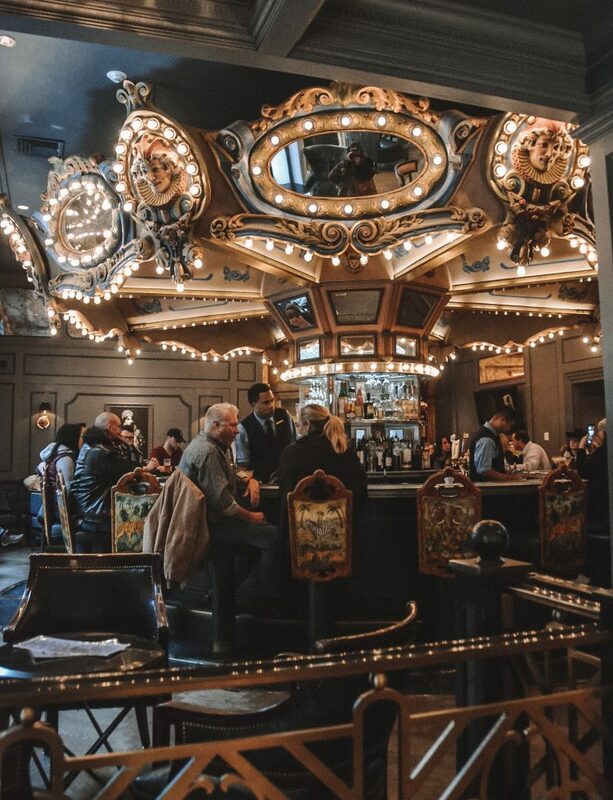 Located right on the famous Bourbon street, the Bourbon House is the perfect spot for some evening happy hour oysters. At $1 a pop, the deal is pretty hard to beat! 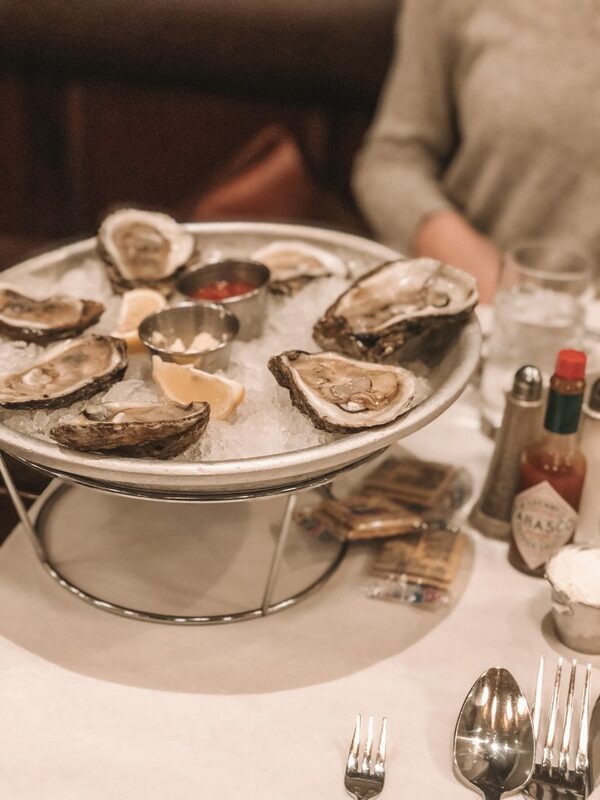 And with only two days in New Orleans, you’ll need to be enjoying as many oysters as physically possible of course! Hands down some of the best stuffed oysters that I have eaten EVER. 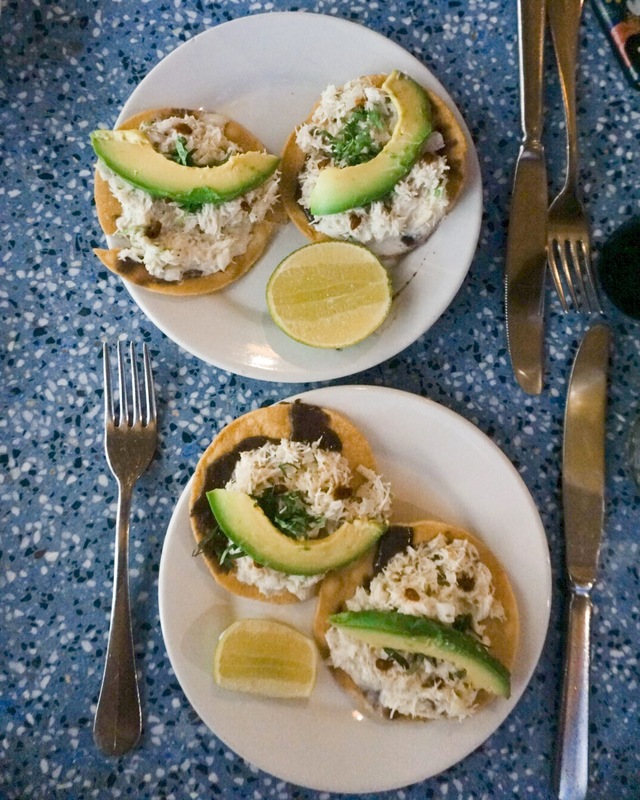 Forget two days in New Orleans, this is a must even if you only have one day in New Orleans! I will stand by admitting that many locals claim that Cafe du Monde is wildly overrated, however DAMN they sure are delicious! 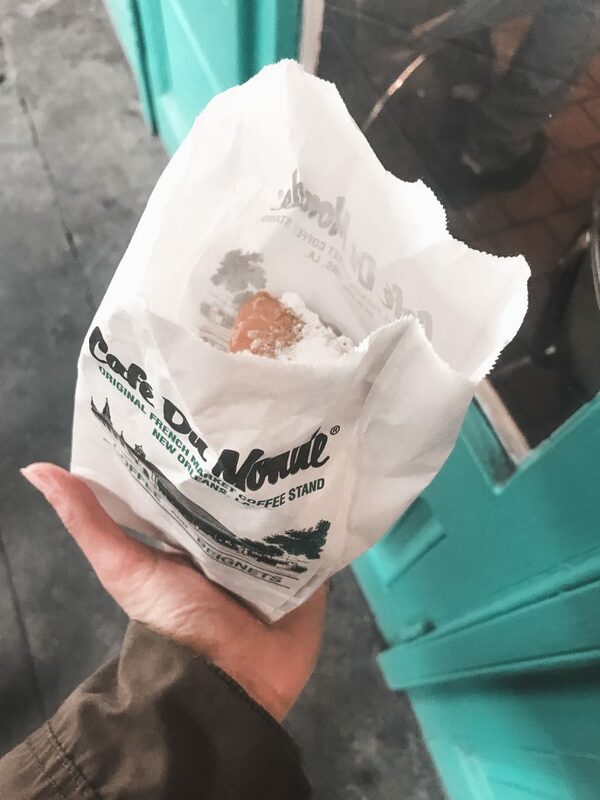 This 24/7 spot is centrally located in the French Quarter and these warm, doughy beignets are good at any hour! Please note that the take away stand is cash only. 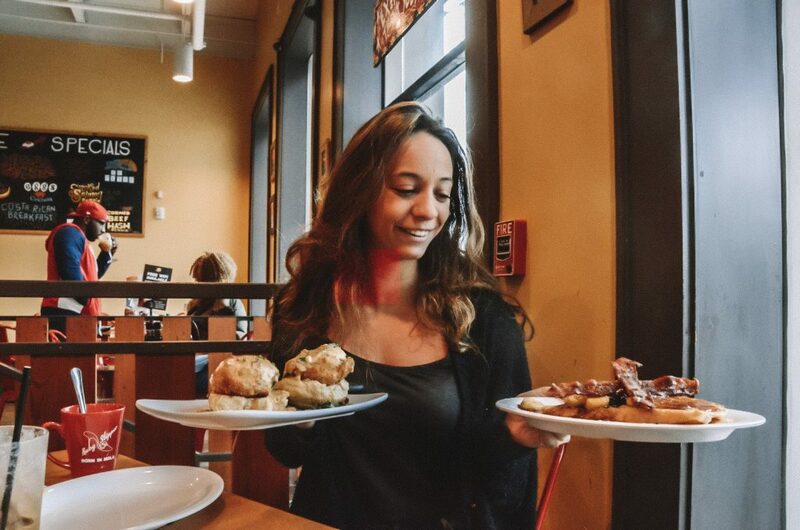 If you’re looking to brunch during your two days in New Orleans then Ruby Slipper is the spot for you! 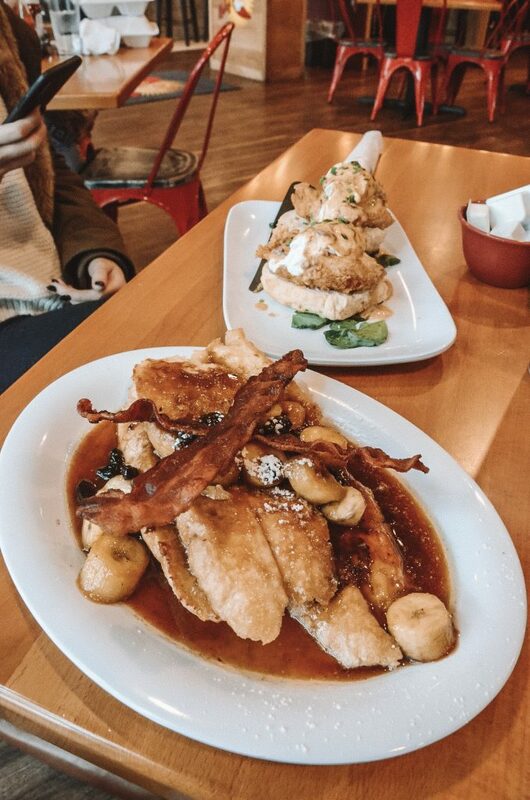 Hands down the best items are the Banana Fosters French Toast and (any of) the poached egg dish options! 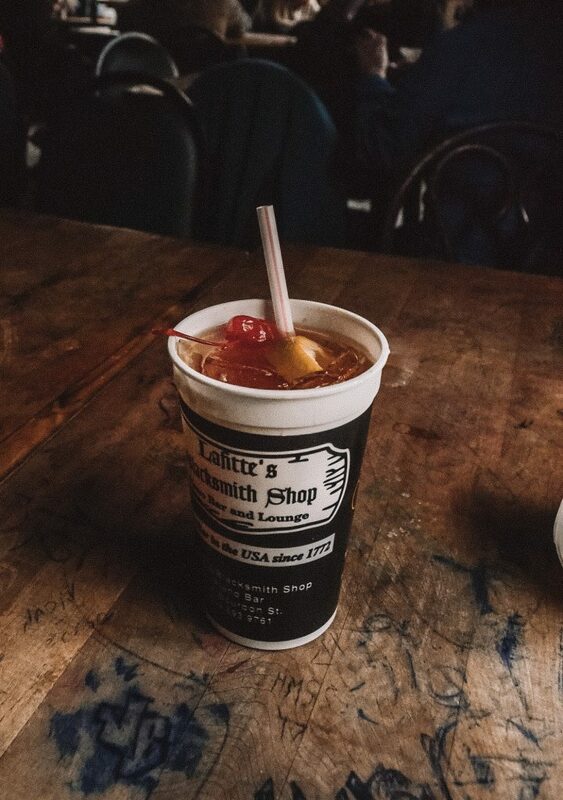 One thing that is amazing about New Orleans is that you can drink at any time of the day, any day of the week! I popped into this famous hotel bar around 1pm on a Wednesday and snagged the a seat around the carousel bar! 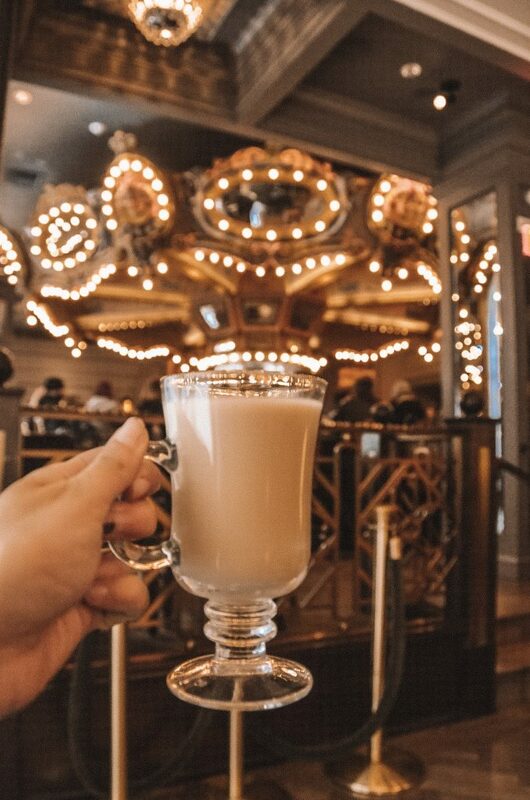 Cafe Beignet is the perfect way to start one of your two days in New Orleans. 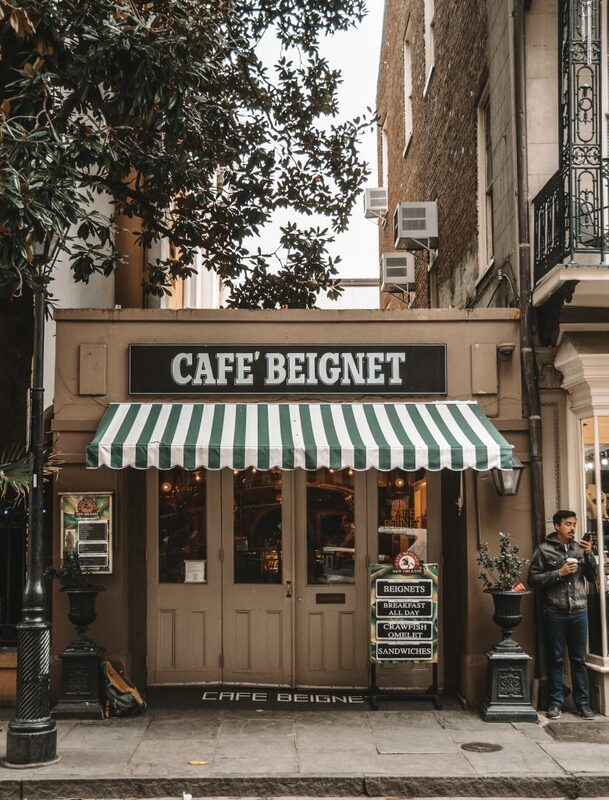 A charming cafe with some of the best beignets in town, this spot is hard to pass up! While we’re on the topic of sweet stuff, I might as well mention District Donuts! 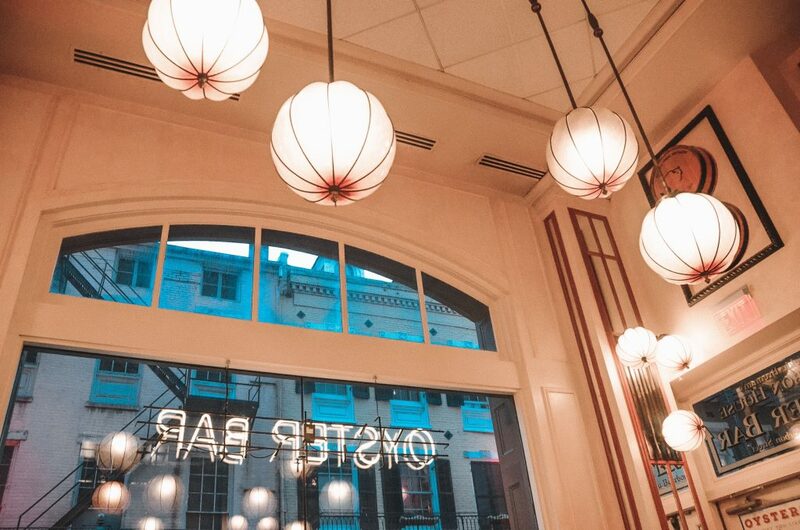 You should definitely spend a portion of your two days in New Orleans strolling down the charming Magazine Street, with a mandatory stop (or two) with a donut to refuel. 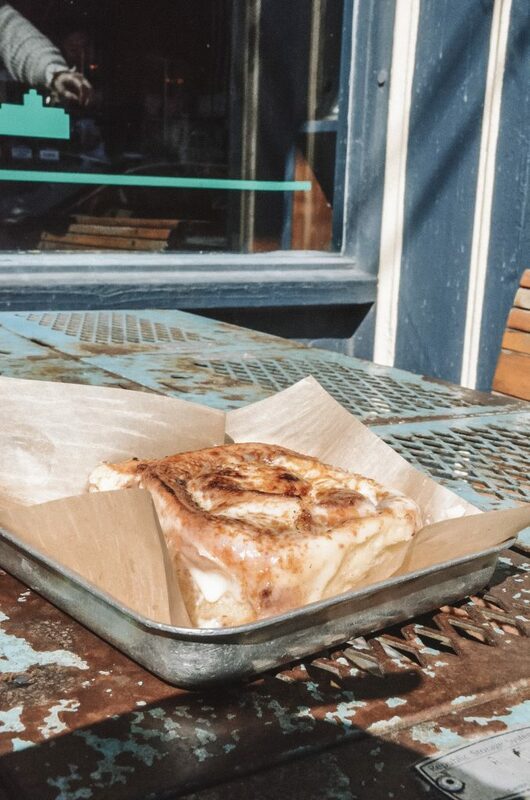 Although I must admit, I personally went for the cinnamon roll because it looked (and smelled) too good to pass up! You can’t come to New Orleans and not eat a po-boy! Therefore, with only two days in New Orleans, Domilise’s classic po-boy shop is a must! 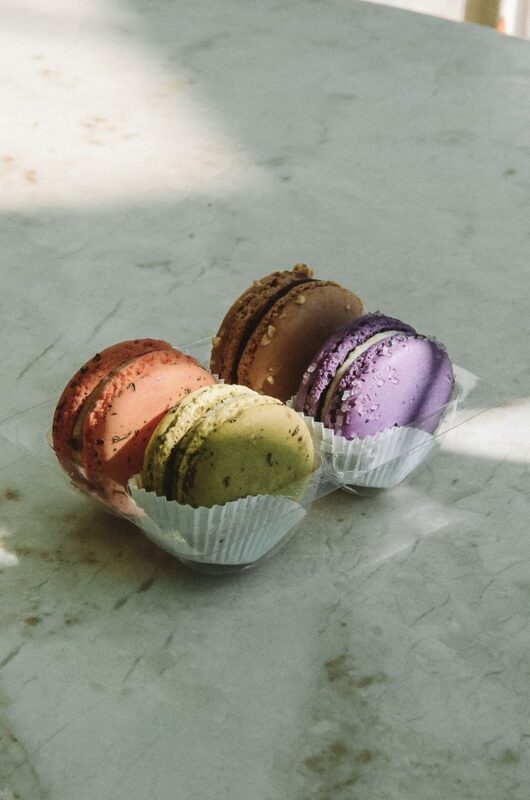 Because who doesn’t love macaroons? Try a box of Sucre’s mystery flavors and I’m sure you won’t be disappointed! 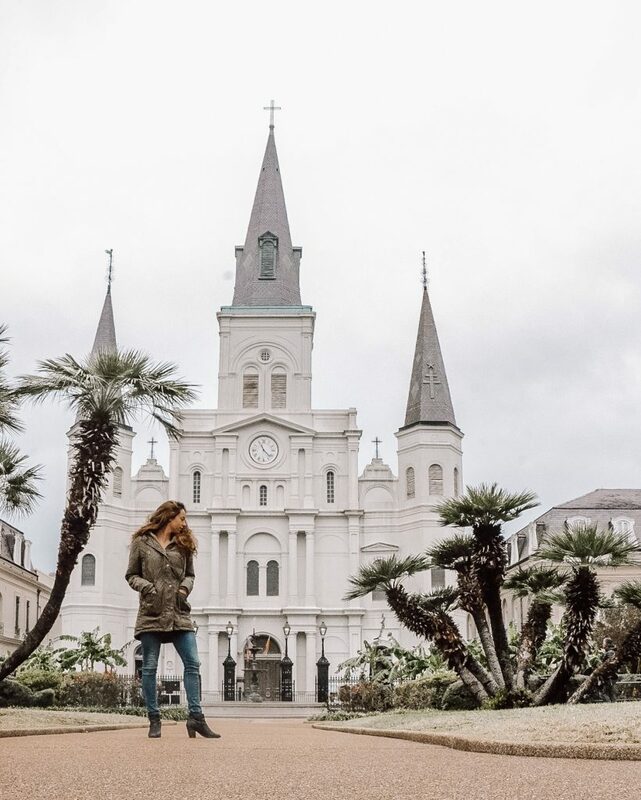 Jackson Square and the St. Louis Cathedral lie right in the heart of the French Quarter. Spend some time wandering the bustling square before getting lost in the nearby area! 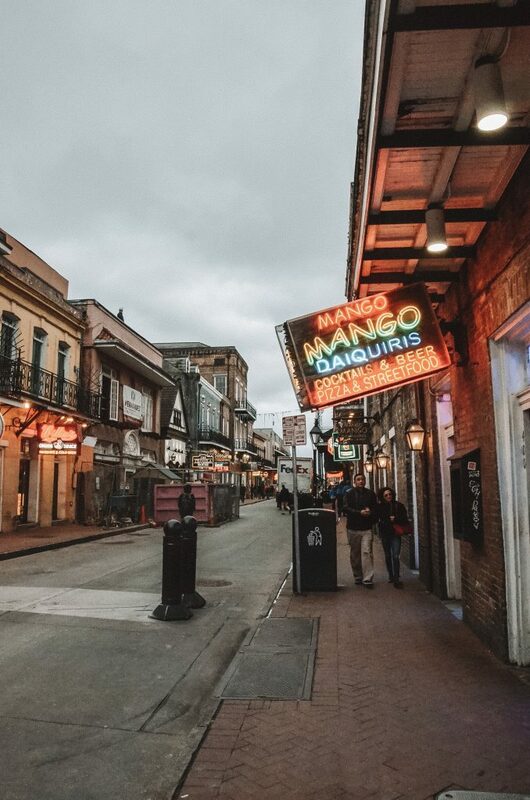 While there is definitely so much more to the city than the French Quarter, you can’t spend two days in New Orleans and not explore the are! I absolutely loved the colorful houses and buildings. 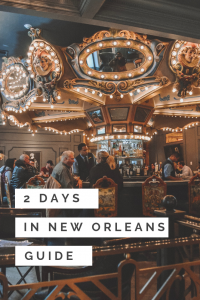 You’ve only got two days in New Orleans – it’s a must! Whether it’s a single hurricane or a wild night out, you’ve got to stop by at some point! 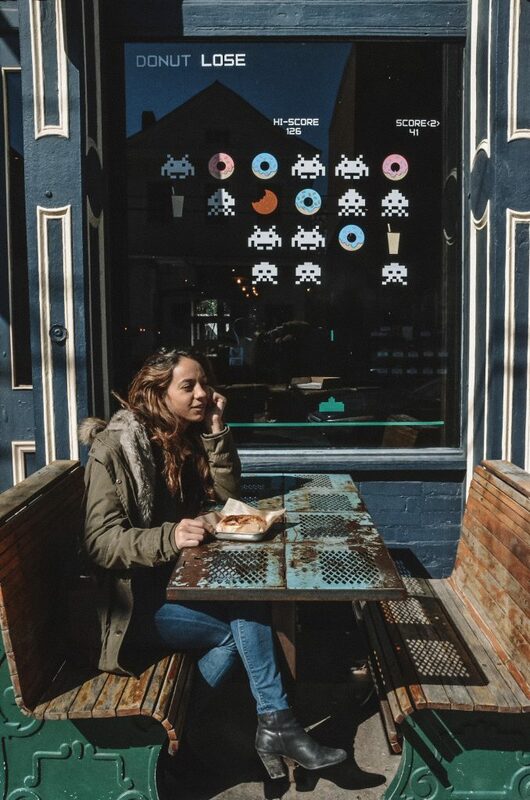 From adorable boutiques to tasty dessert shops like District Donut and Sucre, Magazine Street is a must during your two days in New Orleans. Be sure to check out Ashley Longshore Studio Gallery for some fun photo opportunities! 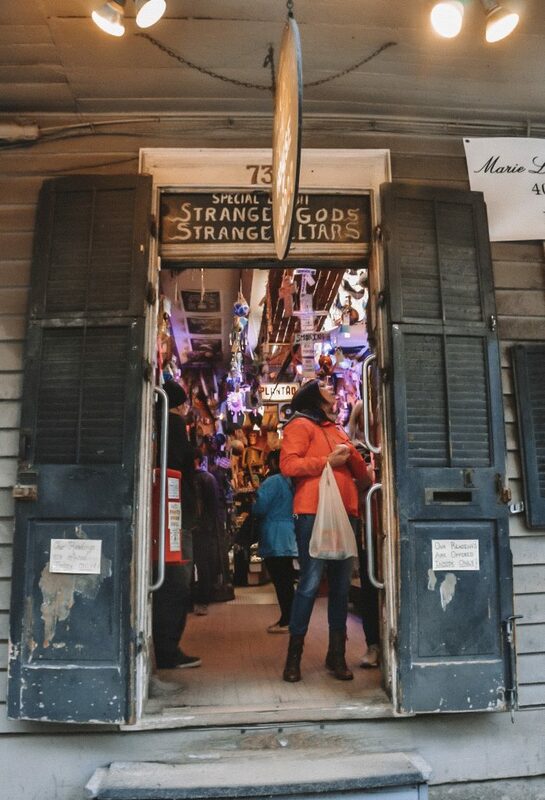 Start at the corner of Canal St and Royal St and make your way towards the French Quarter. You’ll find a TON of art galleries along the way. This is the perfect (free) afternoon activity, especially as the temperatures drop. You can find jazz bars all over New Orleans, but if you’re short on time then I recommend checking out Fritzel’s European Jazz Pub. 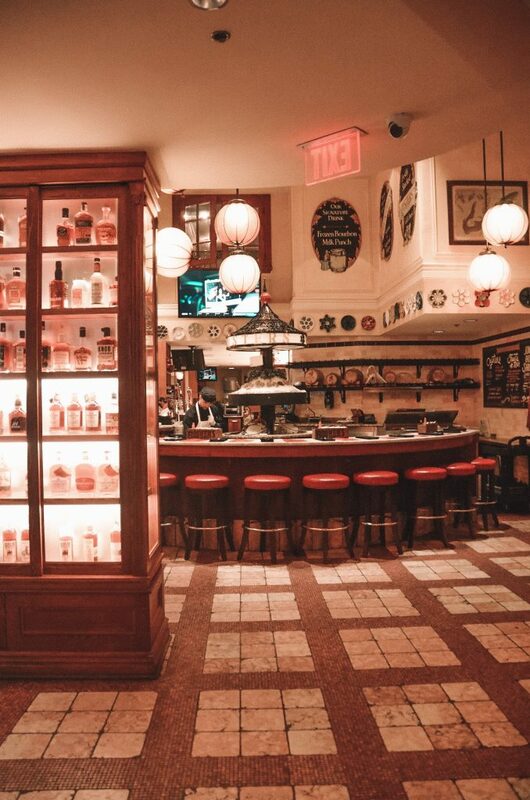 Conveniently located on Bourbon St, you’re sure to have a fun evening. Don’t have time for an evening show? 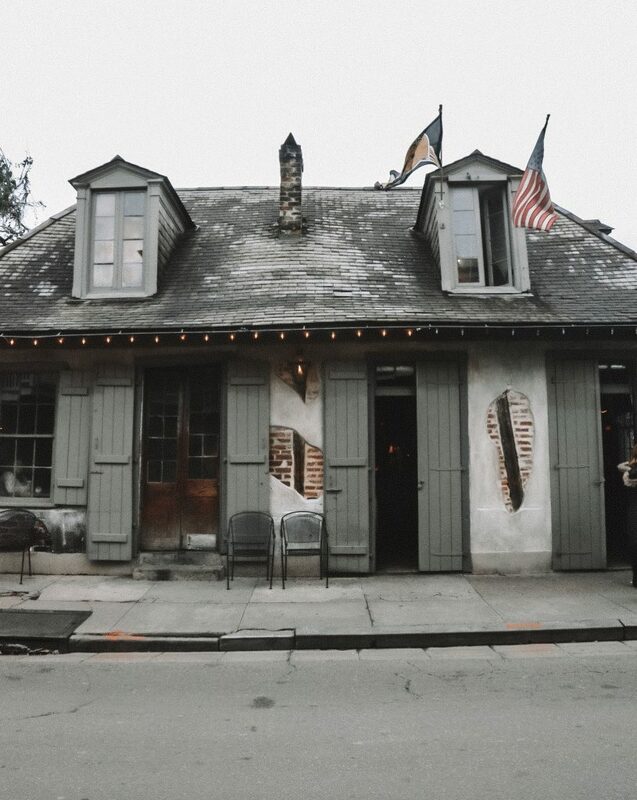 You’ll find street corners all over the city, especially in the French Quarter. 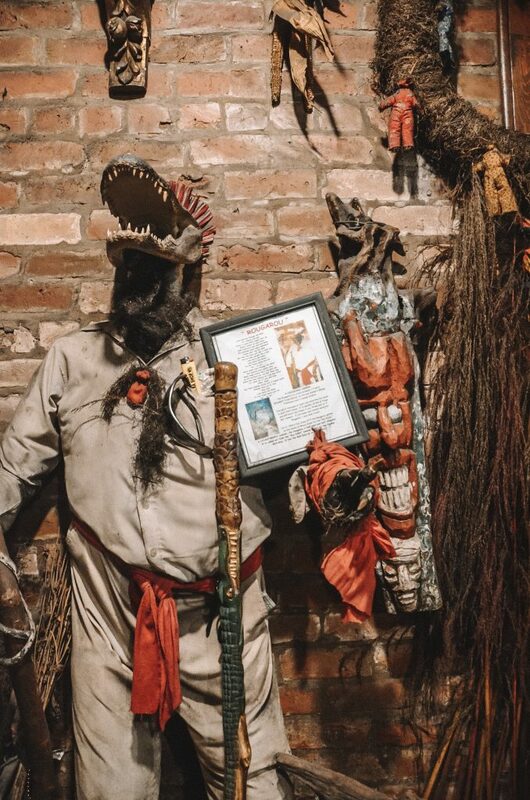 Voodoo is a tradition deeply engrained in the history and culture of Louisiana. 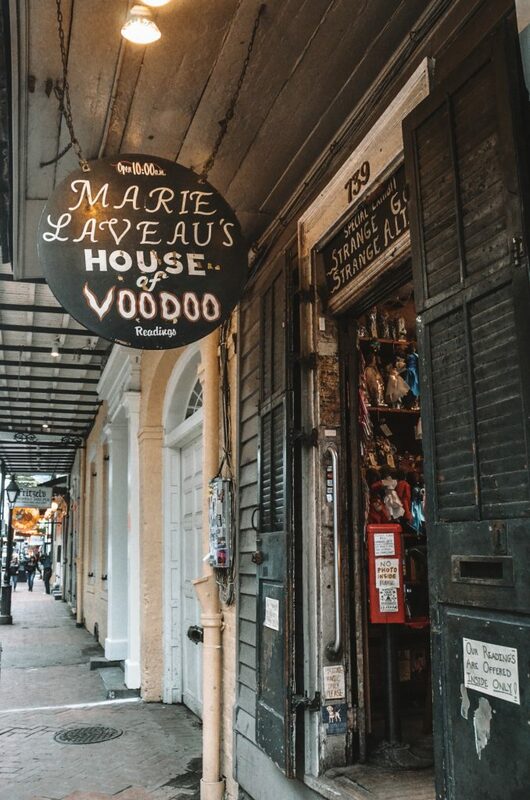 During my two days in New Orleans I spent some time wandering the Voodoo Museum and the nearby Marie Laveau’s House of Voodoo. 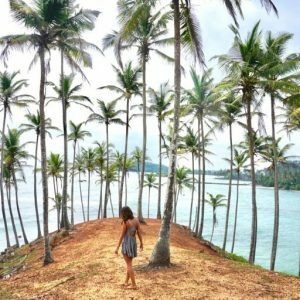 Whether you believe in it or not, it’s a fun place to explore! Like what you read about two days in New Orleans? Make sure to pin it for later!